The first days of school are chock-full of new things, which can cause some jitters for many children. It can be tough to transition from lazy summer days to days spent in the company of new classmates and a new teacher, but parents can be powerful forces in keeping school-related anxiety to a minimum. 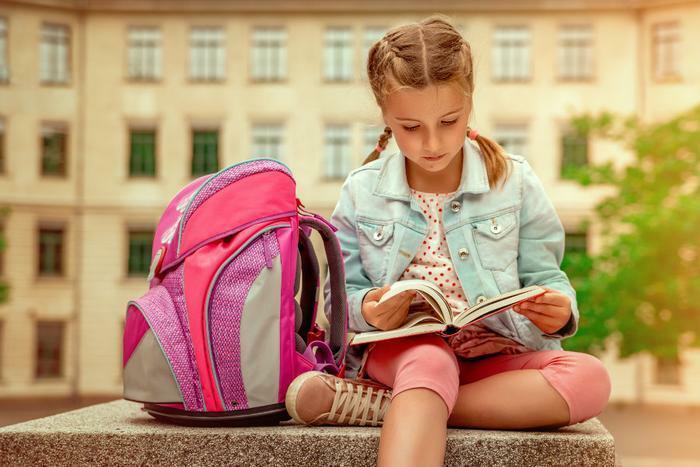 To help stave off back-to-school anxiety, education professors at Kansas State University recommend helping students prepare for the upcoming school year while there’s still some sand left in the hourglass of summer. Here are a few things parents can do. Being given a say in matters pertaining to school helps students feel a sense of ownership in the process of preparing for school, said Lori Levin, an assistant professor of curriculum and instruction at KSU’s College of Education. Let your child choose what to wear and whether to bring a lunch or buy a lunch in the cafeteria. "Anytime kids have a choice, it's freeing," Levin said. "Choice is a huge motivator for children and teens alike." Full days of kindergarten can be exhausting for kids. As a result, they may come home tired, fussy, and hungry those first few weeks. To help prepare children for six-hour long school days, Levin recommends gradually shifting their bedtime earlier by 15 minutes each night until they reach their ideal bedtime. You find out when your child should go to bed by using this handy bedtime calculator. It’s also important to send kids off to school with a full tummy, say the professors. Either offer healthy breakfast foods at home or grab a high-protein granola bar for your child to eat on the way to school. To further ease those pre-school nerves, attend “back to school night.” The opportunity to meet teachers, see classrooms, and get acquainted with peers before the first day can be helpful to students of any age, the professors say. If your child’s school does not offer a back to school night, consider bringing your child to school at some point before the first day to meet teachers and get the lay of the land. "There are a lot of unknowns for students when they enter a new school, so anything to inform them about the unknowns will help to alleviate stress," said Spencer Clark, Levin’s colleague at the university. Finally, be sure to listen to your child in a judgement-free fashion. Levin advises parents to acknowledge their child’s feelings about school and share their own school experiences -- include the fun times, the challenging times, and how you overcame difficulties.